Embrace the Home Resort lifestyle with the spacious ES852B hot tub. This 8-foot hot tub features six comfortable bench seats for you and your guests, making this spa ideal for hot tub parties. Everyone will enjoy the 52 spa jets as they deliver a vigorous water massage to key stress areas, especially since each seat features unique jet configurations. The relaxing spa pillows gently cradles your head while the cascading waterfall transports you a relaxing tropical getaway. Best of all, your hot tub water stays crystal clear with the eco-friendly Pure Silk™ Ozonator, which purifies your water with natural ozone for silky water every time. 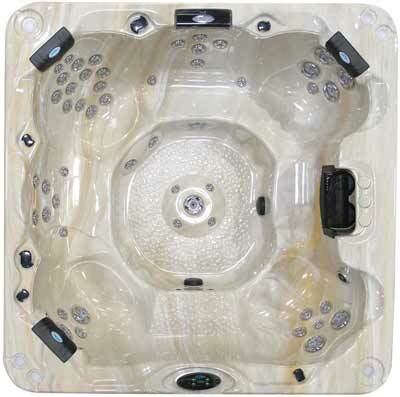 Rekindle the enjoyment of coming home with the ES852B hot tub today!